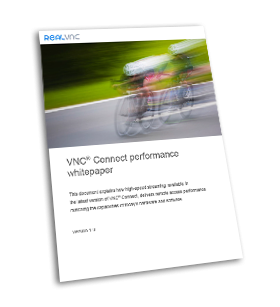 Discover how high-speed streaming, available in the latest version of VNC® Connect, is designed to deliver remote access performance that matches the capabilities of today’s hardware and software. Today’s knowledge workers are accustomed to consuming media-rich digital content in high definition. Multi-media web sites containing video and audio, and complex Computer-aided Design (CAD) and many other types of application are all designed to maximize the tremendous potential capabilities of the latest processors, architectures, graphics cards, monitors and system software. Why real-time performance is important for many remote access software users. 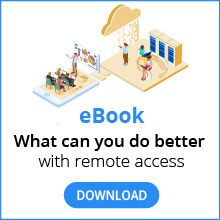 The technical challenges this poses for remote access software manufacturers. How VNC® Connect has been re-engineered to address this challenge. What this means for the VNC® Connect user experience.